Views from the loch. 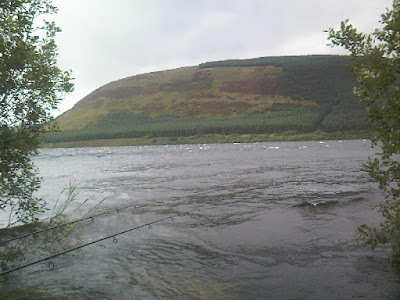 : Thoughts & Ideas on Pike fishing on St Mary's Loch. Thoughts & Ideas on Pike fishing on St Mary's Loch. This week we have a thought provoking article from Rich Beesley one of our long standing members who thinks nothing of travelling from Morpeth up to the lochs for a day's fishing. Now there can be no doubt that this year has been a frustrating one for Pike anglers with blanks aplenty, yet 3 and 4 Pike have fallen to the occasional angler often with no other attribute than being in the right place at the right time and would suggest that a shortage of fish is not the problem. Historically St Mary's has always been a difficult water to fish; in short she does not suffer fools gladly! When confronted by such a situation there are 2 choices, either redouble your efforts and put in some serious thinking or capitulate and pop off to a "plastic" Pike fishery where thought is a trait surplus to requirements due to the artificial overstocking of Pike and prey fish. You simply throw your bait out anywhere (anything will do) and wait on the inevitable sandbag like Pike obliging you, extremely demanding stuff! Thankfully Rich is a committed and enquiring St Mary's angler and it may be that we can all learn from his analytical stance! Angling is an art in which an angler refines his craft by means of "on the job learning", personal research, discussion with peers, fact logic and theory! Where then does "plastic" Pike fishing fit in? It doesn't! Plastic Pike fishing is simply fishing for dummies! Here are Rich's thoughts and ideas on fishing "The Silent Loch" a truly wild pursuit! Where are the St Mary's Pike? "What are my thoughts on my lack of pike catches from St Mary's over the last year or so? I have been thinking about this for a year or so now. I like to think that I have good watercraft. Early years were spent pike fishing on the fens in Norfolk. I was lucky enough to be 'raised' / taught by John Foster who I met by accident one day and fished with him for a few years when I lived in Kings Lynn back in the 80s. John was a local 'legend' on the Norfolk and Cambs fens. Fished the secret swims on most of the fen drains and had many many 20's. Park the car and walk 3 miles down a straight 4 foot deep channel. Mobile in the extreme. He used to ask me to think and watch. When I see something, what does it mean? That's all he did, ask me to think and watch and think. Tackle style and rigs seemed to be irrelevant as long as you had good enough gear to handle a big twenty safely and a good net and stuff to land it. Basic rigs, but very good watercraft. Catching pike was easy; it was finding them that was the challenge. Spent most of my time watching / looking for Grebes. Find a grebe then you find some pike. Not like carp fishing where rigs and bait seem to be everything. Anyway, enough of all that. So, I think about St Mary's, I think about how the loch moves under-water, what currents are there underneath and what effect does that have. 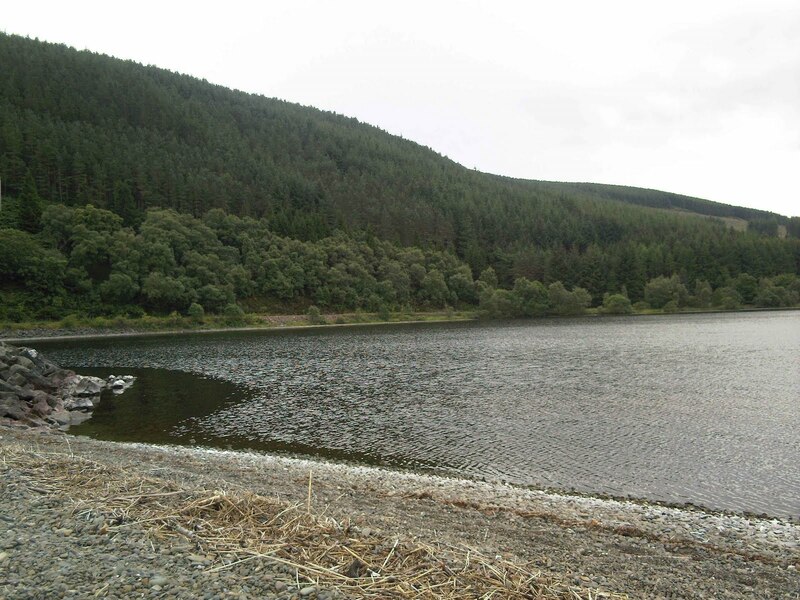 I am convinced that the bottom end of the loch is where a lot of the pike are simply because of the prevailing wind. If the waves end up down there then more oxygen, more food = more bait fish = more pike??? I know most (a lot of people) fish at the top end but I think that has a lot to do with shelter. One theory is that it's good to fish where most people fish because of the spare baits thrown in, during, and at the end of a session. Pike hang around in these areas because there are frequently free easy offerings. I think there are bigger / other more influential factors controlling pike location than this. Many would maybe disagree with me. So why don't I catch more fish on St Marys? (Not sure). One thing I do believe in is trying to fish where nobody else does. What about the other side of the loch? Does the Megget throw / push food across the loch onto the far bank?? How many people bank fish over there? What about the places along the roadside besides the b ottom lay-by? Halfway along that roadside straight. Graveyard area. Is there a sharp rise somewhere along there which can accumulate food? The other big mystery to me is how do deep do the pike live? Is there true and defined water temperature layering in St Marys with a well defined thermo cline or is the water movement so great that the water is mixed right through for most of the year? That could mean that deep water is very oxygenated and a lot of the perch are living and feeding very deep for a lot of the time. Do we all reach and cover these places? Do we say most of the time "beyond 30 feet is bad news with no fish" How many people have used echo sounders to scan down beyond 40 feet? Maybe all this has been done already???? I think there is so much water pushing through the loch that it is well mixed. If that is the case, could the bait fish down in more than 30 feet or so ? Then how far can you cast ? Why not spend a day fishing really deep. How deep is everybody fishing - the usual 20 foot maximum type stuff??? Why not go deeper? Although St Marys is 150 feet deep or so, if you read studies of Scottish lochs, comment is that this is not actually so deep (compared to loch Ness for example). 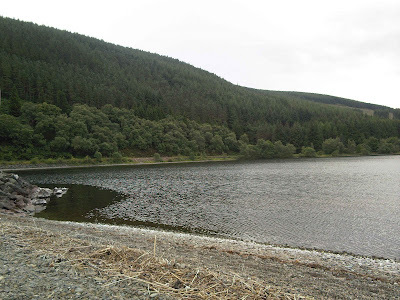 Since there is a lot of water going through the loch and it sits roughly West to East in the main part then both things combined could result in a massive push of water through the loch. This could support the theory that there is no thermo cline or at least the thermo cline is at a very deep level. I know Les takes temperature readings, how much does the temperature vary with depth, down at 80 feet or so? If the water is well mixed, then some of the fish will also be living deep, plenty of oxygen. I don't reckon that many of the pike hang in mid water. If they did then more would be taken trolling? What do I think about float fishing? I have tried and also spent some time drifting but have given up. It seems to me that the pike take off the bottom easily. Have many people caught float fishing mid depth?? If not, this could mean the pike hang around very near the bottom ? Then back to how deep do they go, how deep do they live? There will be big pike which have never been caught, always. This comment could easily apply to St Mary's loch. Many books comment about this fact. Neville Fickling comments in his books about this especially on big waters. Even if you netted the place, you would not pick up all the pike? I am going to try more fishing at greater depths at full range. I will put on 4oz with a small bait. Should get me out a good way down into deep areas not usually covered?? I may even get two new rods 4LB test for range. I have two Dave Lumb 3.5lb rods now which get me a long way but I want to cover more water. I don't reckon there is a problem with the amount of food available. Plenty of eels and perch as well as trout. Lack of food could have meant that the pike have been eating each other and reducing in numbers but I don't believe that. I know Lowes is full of perch, St Marys should be as well, just that nobody really spends a lot of time going for perch in St Marys (that I know about ) ...... and anyway, where are all these perch which I say are in St Marys ?? If I knew that, I would be catching more pike!!! ..and what about moon cycles and barometric pressure?That's another big story. Not lucky enough to be able to choose to only fish over the full moon period so cannot pass opinion about that. What I do think though is that if you can handle fishing into the face of a howling gale, during a big barometric pressure change, you stand a much better chance of catching than on a 'nice' sunny calm day being squashed by a high pressure system! Even though the cooker doesn't work properly to make a coffee and bacon sarnie, with a force 9 in your face!! Easy on a calm bank in the sun, but maybe not the place to be to catch pike?!? " So there you have it, one questioning Pike angler willing to share his views and thoughts isn't that how it should be? The complete answer may not be contained therein but I'm sure this gets us closer to the answer! Many thanks for this Rich look forward to your next thought provoking critique! The club AGM takes place on Wednesday 27th at the Tibbie Shiels Inn commencing at 7.00pm.